Ever come across some random information about a product you use every day and all of a sudden you feel like you’ve been using everything wrong since forever? Well if not, you’re about to! Because these items are so commonplace, we tend to not notice certain things but that is all about to change. In fact, what we discovered is actually very useful and will change your life once you see how you can maximize the use of these everyday items. From jeans pockets to shoe holes to bobby pins and those little bumps on your keyboard, prepare to be amazed! Tic Tacs Can Do That? After reading this, you’ll swear you have been eating Tic Tacs wrong since forever! Mark our words! We were quite shocked too. 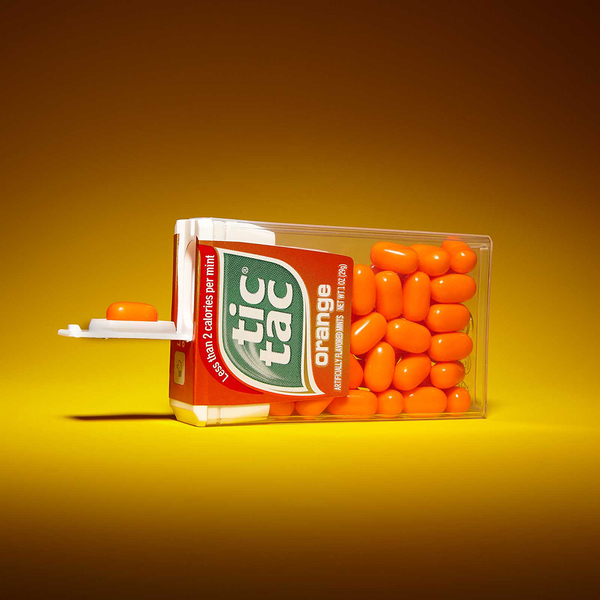 Maybe you have noticed that little indentation on the lid of the Tic Tac package. While many, if not all, of us thought it was there to somehow tightly seal the container, we have been wrong for decades! That little indentation is actually there to serve as a dispenser that gives you one Tic Tac at a time! But wait! Who actually eats one at a time though? Hey, Where Did That Extra Fabric Come From? You know when you buy new clothes and they come equipped with that trusty extra piece of fabric? To some, we just figured it was for fixing rips and tears, right? Wrong! Actually, those extra pieces of fabric are included so that you can test the colorfastness of the fabric when it becomes laundry time. How clever! It has been advised to keep those fabric pieces when you’re changing laundry detergents or experimenting with a new stain remover. So instead of ruining your new clothes, you can simply test the fabric to see the end result before you wash. Bet you never thought pen lids can save a life! Airplane Window Holes Are Legit! 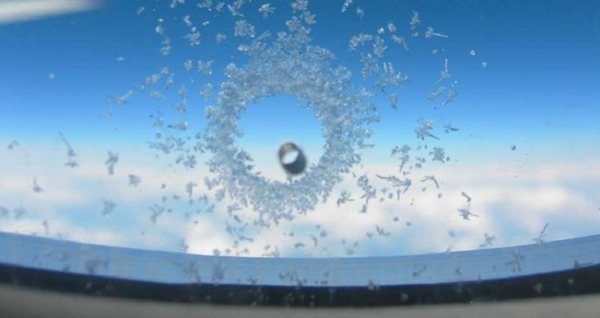 If you’re an avid window seat occupier on airplanes, then you’re probably familiar with those little holes you see on the windows. Have no fear! They are there for two good reasons. The first reason is to compensate for air pressure, so when the plane reaches cruising altitude, there is a huge pressure difference between the inside and outside of the plane – as you can tell by your ears popping. The hole regulates some of that difference so the outer window doesn’t have to do all the work. The other reason is that it prevents the windows from fogging up. You know those tiny little pockets on your jeans that don’t really seem to be good for, well, anything? It turns out that these little pockets actually have a purpose after all. In the 1800s, nearly everyone had a pocket watch and that little pocket is where they kept them! 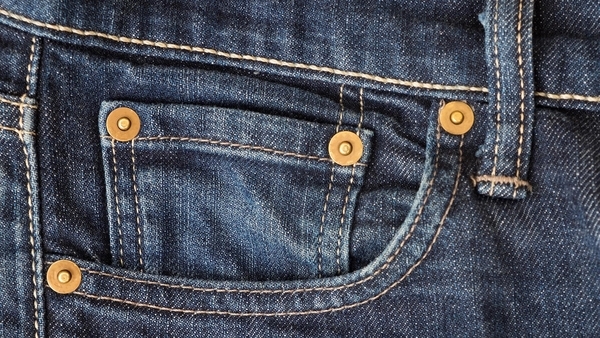 Nowadays we tend to use the bigger pockets to stash our wallet, keys, and whatnot so the little pocket is sort of just there for show. However, if pocket watches ever do become trendy, we know where we’ll keep them! What’s With The Produce Stickers? 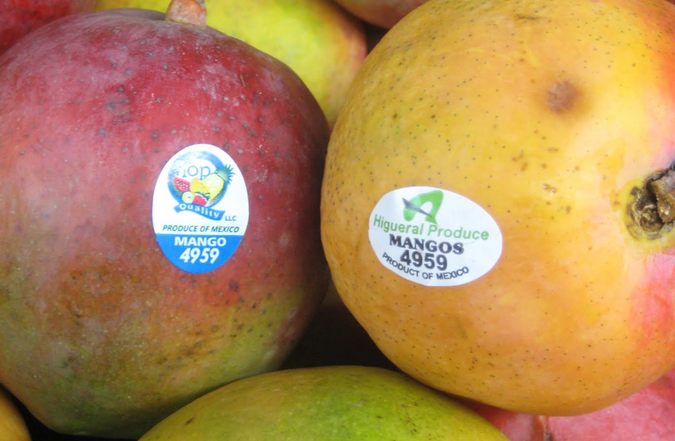 We’ve all bought fruit before that has come with that pesky sticker you take to take off. But what are they really for, aside from boasting the occasional brand name and helping cashiers ring up your item? Turns out that stickers on fruit mark the country and the producer. The numbers are usually 4 digits with the first number being 4, meaning that the fruit has been sprayed with pesticides. If there are 5 digits and the first is 9, the fruit has been grown organically. However, if there are 5 digits and the first is 8, the fruit has been genetically modified. What About Those Holes on the Sides of Shoes? Converse All Stars are probably the most iconic sneaker in the world, but they come laced with some mysteries. See what I did there? Those little holes on the side of the shoe have been known to be air holes for your feet, but there’s actually a better explanation. 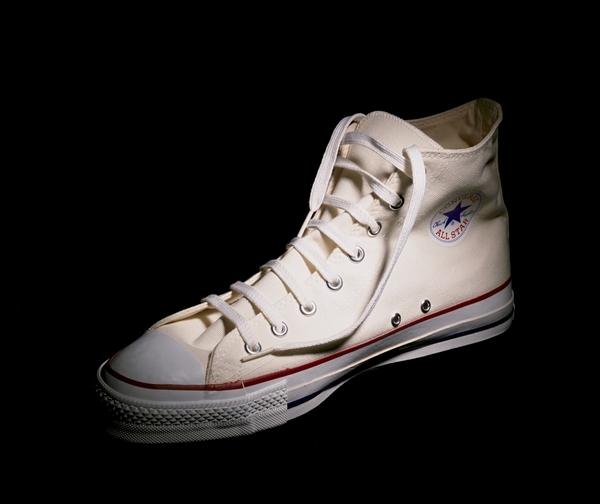 Being that Converse were originally basketball sneakers, the holes allowed some alternate lacing technique that stopped players from tripping n their laces on the court. So while there may not be a reason for them to be there nowadays, those little holes remain an iconic feature on the shoe. This next trick might make cooking easier! While a lot of us may use those holes on pan and pot handles to hang them up when not in use, there’s actually a cleverly hidden feature not many of us know about. Let’s be real here: if you have time to cook and if you find it to be rather tedious while doing so – before you know it, everything gets messy and you wonder why you didn’t just order takeout in the first place – there’s a little hidden feature that may just make things a lot easier and cleaner. 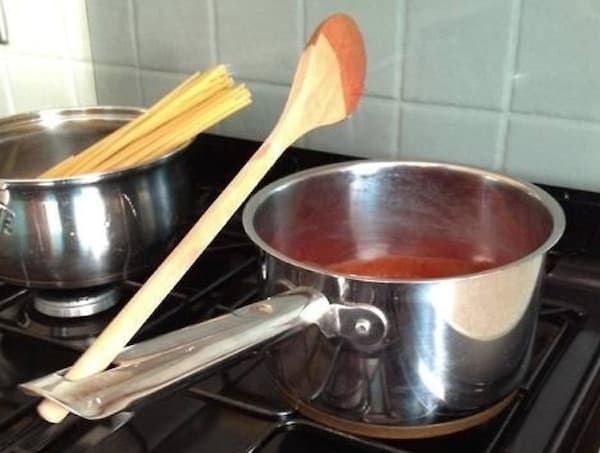 That little hole on the handle can be used to keep your utensils from getting dirty while you are cooking. Who knew? But What About That Pasta Spoon Hole? Let’s face it: some, if not all, of us have utensils we are not quite sure about yet we just go along with it because our parents have shown us their functionality all our lives. So what about that pasta spoon? What’s up with that hole in the middle? 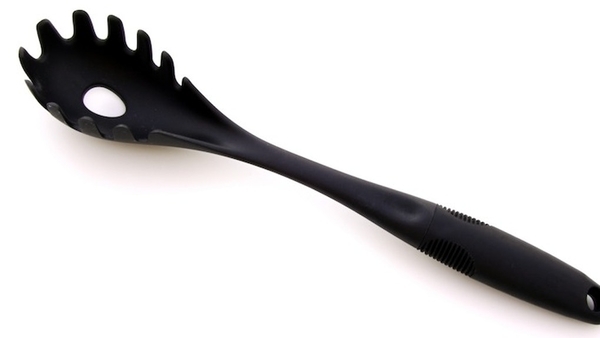 Slotted spoons have a neat feature that allows you to strain the pasta and let the water drain out. On some spoons, the hole is just about the size of a single portion of spaghetti. So if you ever wanted to insert spaghetti into a pot without splashing boiling water everywhere, there you go! 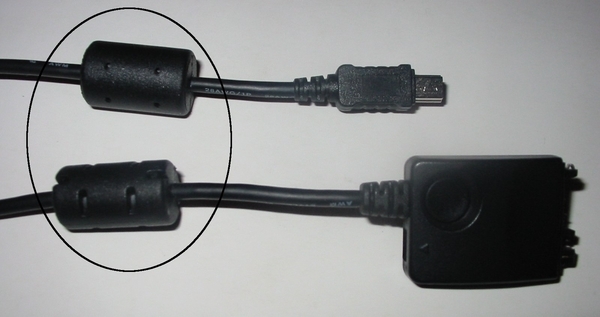 Ever Wonder What Those Thick Bits on USB Cords Are For? We all have a bunch of random USB and cable cords lying around the house somewhere. Chances are, you have no idea what device each cord belongs to, but here is something you’ll be amazed to learn. Those little cylinder shaped lumps on the cords are called ferrite cores or chokes. They are essentially just chunks of magnetic iron oxide that are meant to suppress high-frequency electromagnetic interference. So if you’ve ever experienced interference when your cell phone gets too close to a speaker, ferrite cores are there to prevent that from happening to your other electronics. What About Those Bumps on the F and J Keys? Most trained typists know what those little bumps on the F and J keys are for on a keyboard, but for the rest of us, we’re a bit lost, while others really never noticed them to begin with. Turns out, in 10-finger typing, the F and J keys are the home keys – the keys where your index fingers rest. 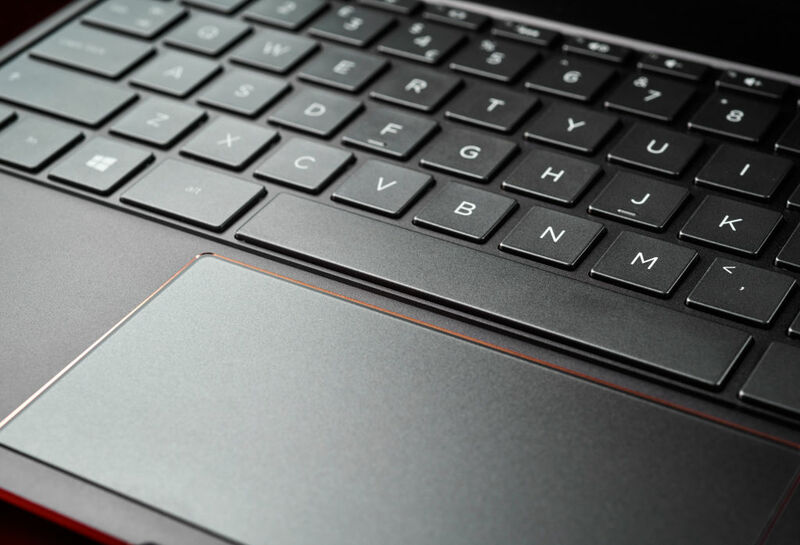 Those little bumps on both keys let you find your way back to the home position without having to actually look down at the keyboard. While a lot of us probably don’t follow the rules of 10-finger typing, it’s still a fun tidbit of information, right? Why Do Wine and Champagne Bottles Have Those Indentations at the Bottom? So what is really up with wine and champagne bottles having those indentations at the bottom? While some of us probably thought they were for show or for some fancy decoration, there’s a better explanation. 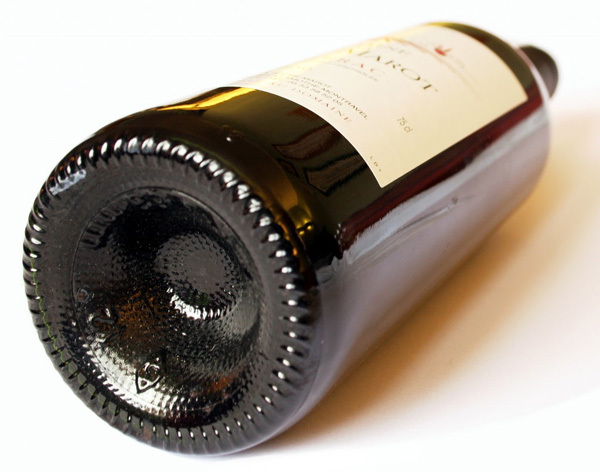 The indentations are there to compensate for the pressure of the contents of the bottle when it goes through the corking process. 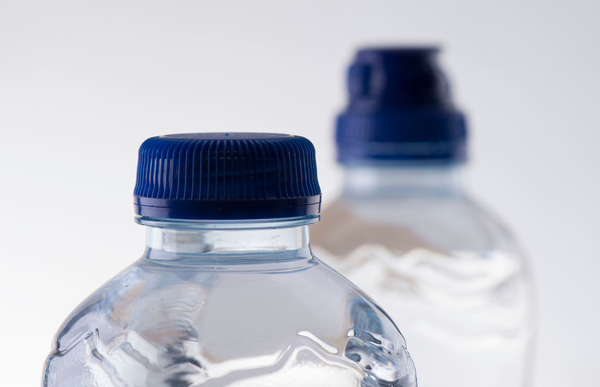 The bottoms and sides of bottles are considered to be weak spots and the indentations help to evenly distribute the pressure inside. Champagne bottles have much deeper indentations since they are under much more pressure due to the carbonation. Pen Lids Keep the Pen From Drying Out, Right? 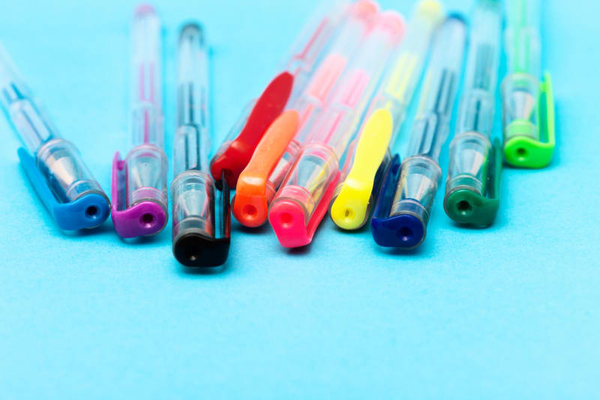 Since childhood, once our parents allowed us to use ink, it has been drilled in our heads that it is important to keep the lids on pens to keep them from drying out, and to keep a pressure balance that can prevent the pen from leaking. But turns out, the hole in the pen lid has a purpose, too. The holes in pen lids are actually there to lower the risk of suffocation of small children. If a child was chewing on the cap and choked on it, the hole keeps their airway from closing up entirely, thus preventing suffocation. Raise your hand if you chew on pen lids all day at school! But What About Those Studs? OK so we delved into the reason why we have those tiny pockets on our jeans but what about those studs? 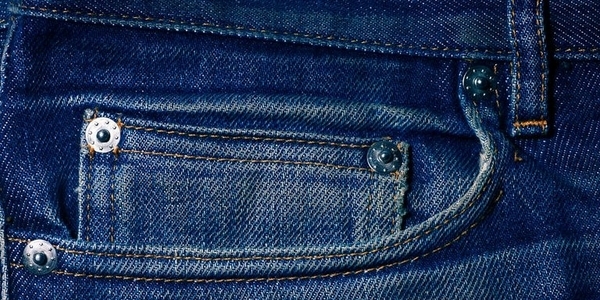 Turns out, when jean king Levi Strauss crafted his first pair of jeans, it was a pretty common issue for the seams of the pants to tear due to the stress being put on them by the wearer – mostly workmen and coal miners. Those little studs, called rivets, exist to strengthen the jeans at the most conspicuous spots! So basically, rivets exist solely to make sure that our pants are durable and that they last a very long time. Check out our next finding for the next time you’re at the grocery store! What Is the Purpose of That Little Disc Under a Plastic Bottle Lid? By now you’re probably marveling over your little discoveries of all these things that serve so much purpose that you never paid any mind to, right? Well, here’s another one! Do you know that little disc under the lid of plastic water and soda bottles? They serve a special purpose as well. You might find that removing them doesn’t cause a problem. The bottle still closes fine, right? Turns out, they create a seal that keeps everything in the bottle – both liquid and carbonation. Without that little disc, your soda would go flat very quickly! 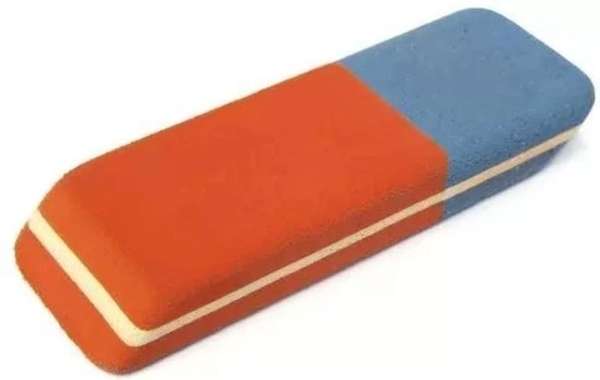 Ever Have an Eraser With a Blue Side? As a kid, and sometimes even today, erasers were essential for anyone in school. While it has been known to erase pencil marks, that blue side has a purpose as well! Turns out, that blue side of the eraser is meant to erase pen ink but it actually only works on very strong and thick paper. The blue side of the eraser is harder and more abrasive than the soft, pink side. It also takes a lot more paper off when you use it, hence all the times you’ve ripped through your paper while using it. 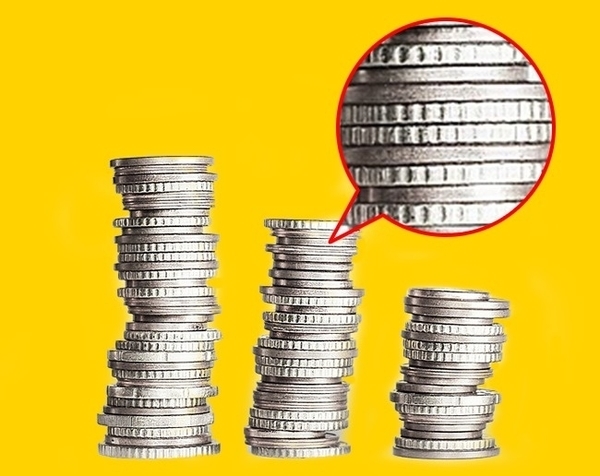 Why Do Coins Have Rigid Edges? We all love money yet never think to ask about why it looks the way it does. It pays for everything so just shut up and use it, right? If you have ever wondered why coins have rigid edges, you might want to look back as far as the 16 century. At the time, people would cut off small amounts of precious metal from coins to sell while passing on the damaged coins at full value. To counter this action, a special process called reeding was introduced, consisting of carving a series of grooves on the edges of coins so that you’d know it was tampered with. Reeding remains a long-standing tradition. Why Are Bobby Pins Shaped in a Zigzag? 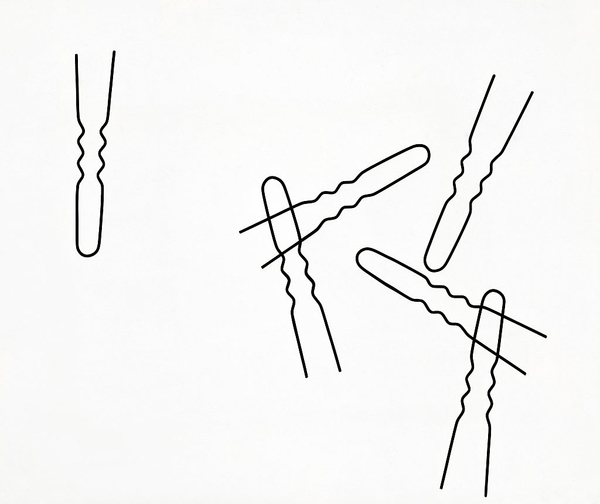 We all have used bobby pins for various reasons, whether it be for styling hair, getting yourself out of a tricky situation or for other discovered needs along the way. Bobby pins are just those things lying around the house that are either super useful for some or overlooked by many. But have you ever wondered why bobby pins have one side shaped like a zigzag? Since they are famously known for styling hair, the grooved side is the bottom of the pin and it should face toward the scalp! The grooves help the hairpin hold the hair better. Helpful info! Need Another Use for a Soda Can Tab? 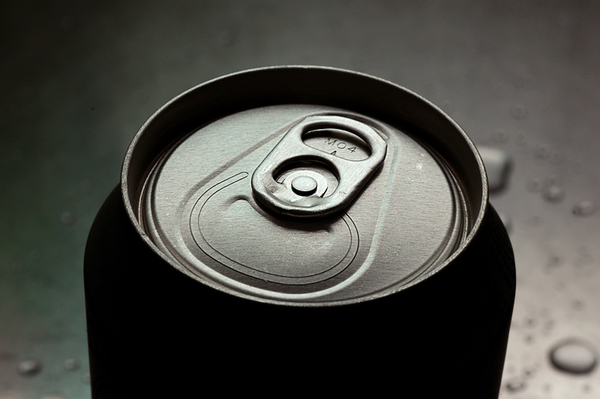 So we’ve all opened a can of soda using that nifty little tab, but after it is opened we kind of just forget about it, right? You’ve been drinking from soda cans all wrong! Turns out, you can actually use that can tab as a straw holder! Just spin the tab around and you’ve got yourself an organized, fun, and new way to enjoy soda without having your straw move all around. Yes, folks – no more looking like a fool as your head bobs around to get the damn straw in your mouth. Amazing, huh? Ever Wonder About That Little Metal Bit at the End of a Tape Measure? If you’re not particularly handy, this will probably blow your mind. The little metal bit at the end of a tape measure can be incredibly useful. If it’s serrated, it’s really useful when putting up drywall. 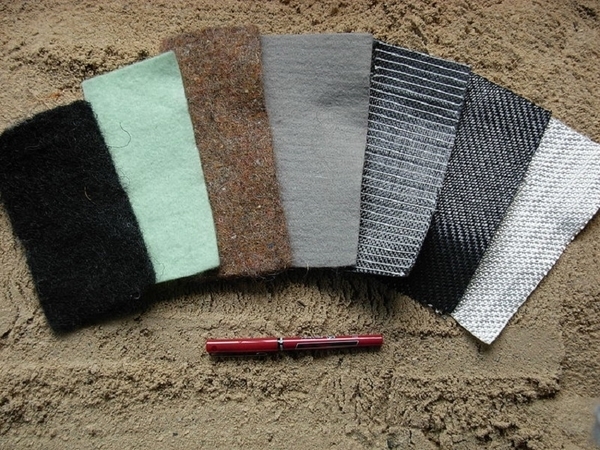 The edge lets you easily score softer surfaces. While the bit slightly often moves back and forth, it is actually compensation for the width of the metal hook and it pushes in if you are measuring an inner surface while pulling out if you’re measuring an outside surface. The bit stops the slight width to throw off the measurement while moving the exact width of the metal hook, usually 1/16th of an inch. If you’re an avid fan of getting a manicure, then you’re probably familiar with the act of cutting off your cuticles to get a perfect look, but you might want to stop after reading this! The tiny area of skin known as the cuticle is actually there to protect your nails from infection. By removing the skin, your nail is exposed with a tiny wound, allowing bacteria and fungus to sneak in. So cutting your cuticles may be a part of getting a rad manicure but it actually doesn’t benefit your nails in any way. Plus, it can be quite harmful.